Orlando manager Tommy Jones praised his bullpen, including left-hander Earnie Johnson after this June 1993 contest, according to The Orlando Sentinel. The bullpen worked four innings in total and gave up only a single hit, allowing the hitters to comeback and win, The Sentinel wrote. 'If (Bill) Melvin, (Earnie) Johnson and (Aaron) Taylor don't come through in the middle innings, we don't win,'' Jones told The Sentinel. While Johnson came through for Orlando that year, his fifth as a pro, he never did so enough to make the majors. Johnson's pro career began in 1989, signed by the White Sox as a free agent out of Missouri State University. He played his high school ball at El Dorado Springs High in Missouri and made the school's Hall of Fame in 2007. His school triples mark, 9, stood until 2011. Johnson also played American Legion ball in for Nevada, hitting a home run in a June 1985 contest. Johnson started with the White Sox in 1989 in the rookie Gulf Coast League. He gave up five earned runs in 10 innings of work. He moved to single-A South Bend for 1990. He saw 27 relief outings there and had a 2.09 ERA. He also saved three contests. Johnson played at high-A Sarasota for 1991 and returned there for 1992. He also got a 16-game look at AA Birmingham in 1992 and took a loss in a June game. He went 1-1 there, with a 5.49 ERA. He moved to the Cubs system for 1993. 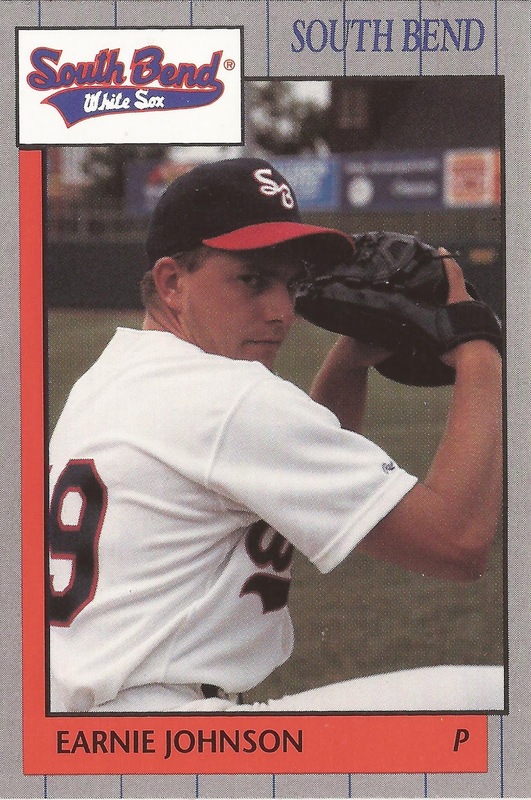 He played most of the year at AA Orlando, but also got a nine-game stint at AAA Iowa. He went 1-1 there, with a 3.21 ERA in his last season as a pro.